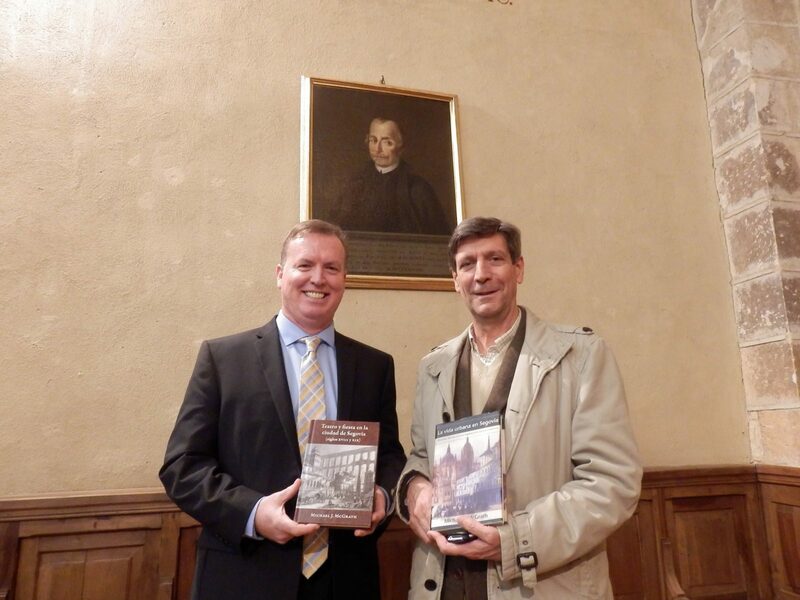 STATESBORO, Ga. — Department of Foreign Languages Professor, Michael McGrath, Ph.D., was invited to the Royal Academy of History and Art in Segovia, Spain, over the winter break to discuss his research. On his visit to the academy, he discussed his book La vida urbana en Segovia: Historia de una ciudad barroca en sus documentos. McGrath explores in the book the city’s seventeenth-century festivals, comedies, and plays in the wake of the economic downturn from the plaque and the expulsion of the Moors. McGrath furthered explored this topic in the eighteenth and nineteenth centuries in his most recent book, Teatro y fiesta en la ciudad de Segovia (siglos XVIII y XIX). McGrath was also initiated into the Royal Academy of History and Art in Segovia, Spain, and his visit was written about in the Spanish newspaper, El Adelantado.com. McGrath has spent over 20 years studying and writing about the Spanish city of Segovia. He has authored over 50 publications, presented more than 30 conference presentations, and served as the editor of Jaun de la Cuesta Hispanic Monographs since 2008.